If damage occurs to the keywork or wood that is NOT the result of owner carelessness or negligence, the following warranty applies. 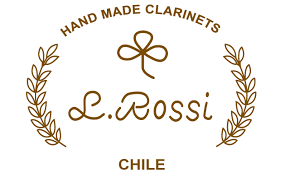 1.- Rossi Clarinets guarantees the keywork for one year. a) If a crack appears that goes completely through to the bore, the piece of the instrument in which the crack appears (barrel, body, or bell) will be replaced. This will take some time, since a new piece will need to be made. b) If a fissure appears in the surface of the instrument, you may take it to be repaired by your preferred repairman, and Rossi Clarinets will pay for the repair. If damage has occurred that you believe falls under these warranty conditions, contact Rossi Clarinets for further information about enacting the warranty. Damage due to owner carelessness or neglect (including, but not limited to, improperly breaking in the clarinet when it is new) is NOT covered by the warranty. - We think you'll be very satisfied with your new clarinet!